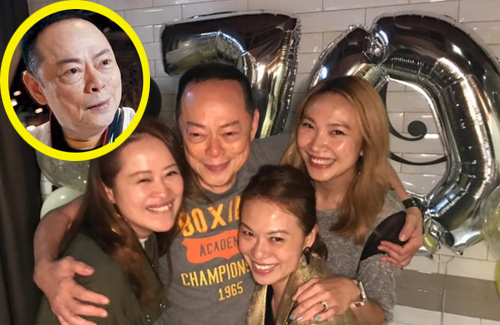 Celebrating his 70th birthday on October 21, veteran TVB actor Law Lok Lam (羅樂林) was overjoyed to have his three daughters throw a big surprise party for him. As he loved his drink, his daughters gifted him a 3D cake topped with a fondant beer bottle. 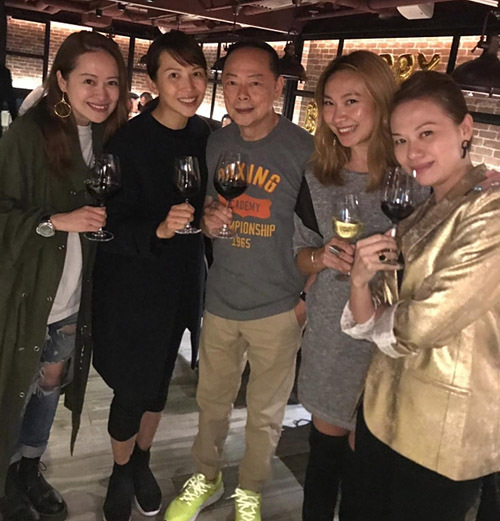 The veteran actor was also delighted to see Ada Choi (蔡少芬) and praised her for her thoughtfulness. 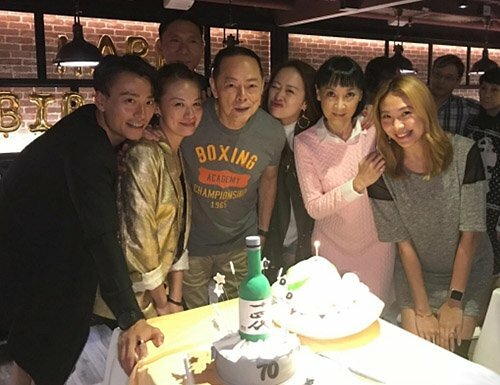 Ada, who had collaborated with Law Lok Lam in her very first drama, Revelation of the Last Hero <武林啟示錄之風之刀>, offered her birthday greetings and addressed him as “father’. 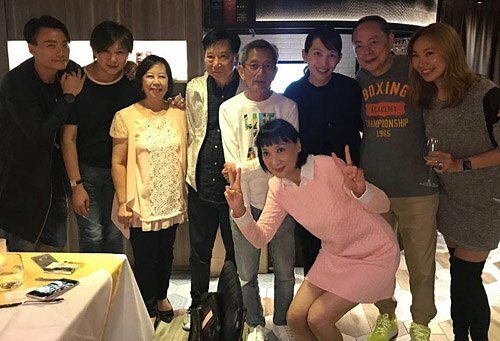 Born in 1948, Law Lok Lam has been acting since the 1970s, first under RTV and later under ATV, before finally joining TVB’s contracted artistes. Since then has been in countless drama productions, including Come Home Love: Lo And Behold <愛．回家之開心速遞>, in which he plays a generous wealthy man. Happy Birthday Mr. Law! One of the best veteran actors. Hope you have many years of health and happiness. Happy Birthday, Law Lok Lam! 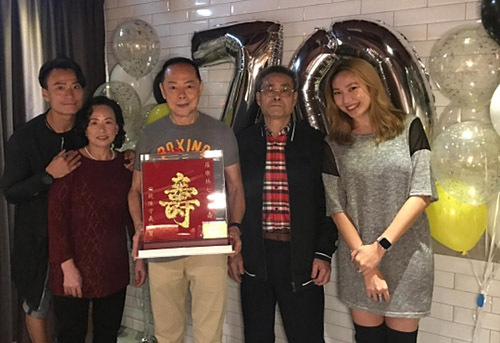 70th birthday is a BIG birthday for males in Chinese traditions, and 71st is a big birthday for females. Your acting has been so fantastic in recent years. You acted every single role so well. Also happy to know that you are such a generous artiste who acted in Fala Chan’s short film project free of charge. Not many actors would do it for free.